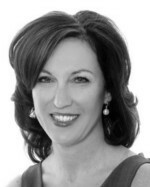 Janey is a senior executive coach and facilitator based in Melbourne and has worked on numerous assignments with FLI over the last five years. Her assignments have included working with high potential leaders identified by key clients such as Abbott pharmaceuticals, Levi Strauss and Co and DBS Bank. Janey provides coaching and feedback sessions to Development Centre participants, to impart assessment results and leadership development opportunities. With her expertise in strategic planning, and as a brand strategist and innovation advocate, Janey coaches senior leaders through key development areas for these leadership competencies. She has coached senior executives from a host of sectors in Australia and Asia, and employs various coaching tools depending on the nature of the coaching assignment. Janey uses her insights from her training as a Hermann International practitioner to assist clients to improve their strategic planning, team building, change leadership, creative problem solving, and communication. Janey began coaching in 2006 during her tenure at the Monash University Australian Centre for Retail Studies (ACRS) after a long and successful career in General Management and Marketing, capitalising on her extensive 20-year senior management experience in the commercial sector, both internationally and in Australia, in Strategic Brand Management and Marketing management for Global Brands. As an accredited HBDI practitioner, Janey has a well-developed understanding of individual thinking preferences and the power of developing low focus areas when problem solving and decision making. As a talented strategist, she has the ability to assist individuals to augment their leadership capabilities such as setting vision and strategy, driving innovation and being customer-oriented. Janey is passionate about heightening the self-awareness of others in order for them to achieve their personal and professional goals. She particularly embraces innovation and creativity in the workplace and encourages others to shift their perspective in order to tap into their creative energies for problem solving and strategic thinking. In addition to her practical experience, Janey is a certified practitioner for Hogan and HBDI, and applies the Whole Brain Thinking Model to improve organisational communication, innovation and positive cultural change.